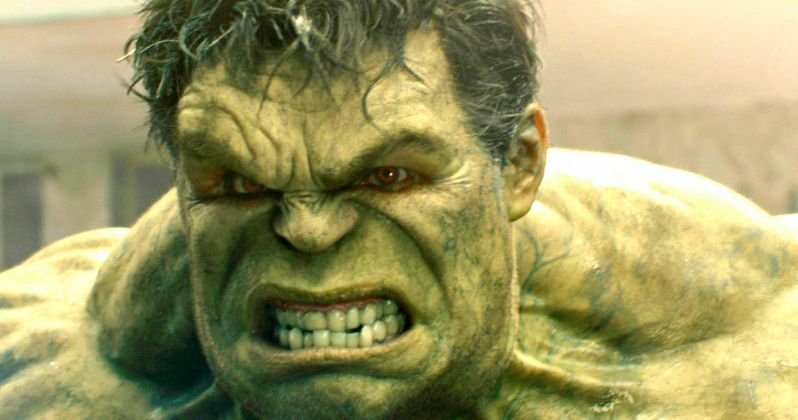 Last month, Avengers: Age of Ultron star Mark Ruffalo sent out a mysterious tweet that seemed to tease that his Hulk character is returning for Captain America: Civil War. The actor didn't state outright that he had signed on, but he said, "The Marvel family gets just a little bit bigger," with the #CivilWar hashtag. While promoting his new movie Infinitely Polar Bear, in theaters next weekend, the actor revealed that he hasn't seen a script yet, but one of his co-stars heard that he was coming aboard. "I don't know! I heard a rumor about that the other day. I haven't seen a script, nobody's told me, and I don't have dates. But I can only hope so! I was talking to Robert Downey the other day, and he said, 'Ruffalo! I heard you're coming out here,' and I said, 'OK! I'll be there." At the end of Avengers: Age of Ultron, Hulk's future is murky, at best. Deeming himself a threat to the Avengers and Earth as a whole, the Green Goliath took off in the Quinjet, although we don't have a clue where he's heading. Since Captain America 3 is still shooting in Atlanta, it's certainly possible that Mark Ruffalo could join the production. Here's what he had to say about the challenges of playing Hulk. "I like the challenge of it. I like the cultural significance of it, as an art project. It's crossing into all kinds of cultures, and belief systems, and ideologies. It's hitting a lot of boxes, and really specialized boxes, too. And ultimately, the messaging of it is pretty good! It has a decency about it. I always feel like this is our modern mythology, in a way. We've been doing this since the time we could draw on cave walls. This is our version of it now, but we're still working out the same stuff-violence, brotherhood, and more."